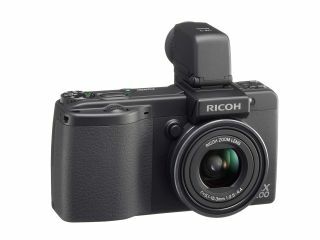 Ricoh was one of the first brands to dabble in digital camera technology, alongside the likes of Kodak, and it seems the Japanese camera manufacturer shows no signs of abating with its latest release, the GX200 – a successor to 2007's GX100 range. The new series of cameras boast a 12MP CCD sensor, a 24 to 72 mm (35 mm ﬁlm equivalent focal length) high-performance wide-angle optical zoom lens, and a sleek-looking chassis that's just 25mm thick. Not only can view your images on a large 2.7in HVGA screen, which is perfect for outdoor shooting, there's even an electronic 'spirit level' built into the camera. When the Level setting is on, a level indicator becomes green in the picture display. So no more sloppily slanted pictures then. This can even be changed to a sound effect, if you're too busy concentrating on your photography to check the level indicator. For those that like to continuous shoot, you can do so at the highest setting (RAW mode) for five shots. And if you want to do some in-camera tweaking, you can change image colour, brightness and contrast with just the touch of a button. There's even a removable electronic viewfinder bundled in with the camera, which is great for those who want to shoot in a traditional camera style. Connect it to the camera and it also gives the GX200 a retro look. The GX200 with electronic viewﬁnder included, will be available in the beginning of July 2008 for £399.99. GX200 Standard – sans viewfinder – is available for £349.99.